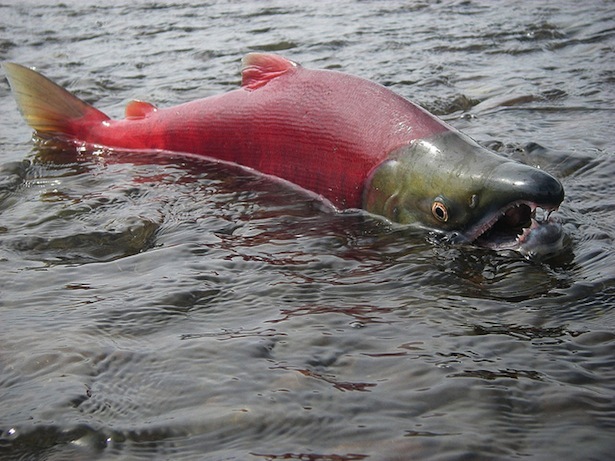 In response to NOAA Fisheries' request, the Independent Scientific Advisory Board (ISAB) reviewed a draft document titled Life-Cycle Models of Salmonid Populations in the Interior Columbia River Basin (June 28, 2013; LCM document). The modeling effort described in the LCM document builds from previous efforts that modeled hydrosystem and climate effects on salmonid population viability, and expands those efforts to cover more populations and habitat actions, as well as improved representation of climate effects, hatchery spawners, and spatial interactions. Specific models are in various stages of development and will be updated as new data become available. Consequently, the technical content of the ISAB's review varies significantly depending on the status and content of the various models. The report's Introduction briefly identifies past modeling efforts and describes new issues to be examined within the document. A general modeling structure is presented which is used to guide many of the models described in subsequent sections. Model metrics are stated to be consistent across models so that information may be shared. For example, the ocean and estuary submodels could be incorporated into models for upstream populations. The anticipated final models stemming from this effort may be expanded to encompass salmon evolutionary significant units (ESU), but it is not presently clear how the various models will be combined to address issues facing entire salmon ESUs. A key goal of life-cycle models is to inform decision makers about the influence of restoration activities on the recovery and viability of ESA-listed salmon in the Columbia Basin. NOAA Fisheries scientists and the ISAB recognize that linking mitigation actions to population responses of salmon is complex, data intensive, and highly challenging. Nevertheless, to demonstrate how existing data in the Columbia Basin may be used to evaluate effects of mitigation actions in tributary habitats on salmon population viability, the investigators present five modeling examples (Chapter 2). Three models target spring/summer Chinook in portions of the Snake River Basin, one model addresses spring Chinook in the upper Columbia River, and one model examines steelhead throughout the interior Columbia Basin. Some models, such as the Watershed Model in the Lemhi River that examines both steelhead and spring Chinook, are reportedly designed for implementation in subbasins throughout the Columbia Basin. All of these models are works in progress. Additionally, three other habitat models and a fall Chinook run reconstruction effort are presented (Chapter 3), but these efforts are at very early stages of development. Supplementation of wild salmon populations with hatchery salmon is a key, albeit controversial, strategy in the Columbia Basin for rebuilding depleted wild salmon populations. Chapter 4 describes a novel modeling approach for investigating the likely effects of hatchery supplementation on wild salmon population dynamics. This well-developed investigation used several decades of data for 23 Snake River spring Chinook populations. The ISAB commends the extensive use of existing data here and in many of the other models. This investigation provides compelling evidence indicating that numbers of hatchery salmon spawning in rivers accentuates density dependence such that lower survival offsets the anticipated benefits of supplementation for spring Chinook salmon. This modeling approach should be utilized for other species and watersheds when sufficient data exist, and the findings should be incorporated into other life-cycle models. Presently, only a few of the models incorporated effects from hatchery/wild salmon interactions, but none use findings from this investigation. We anticipate that this effort will be significant in informing policy and management in the Columbia Basin. The estuary and ocean models (Chapter 5) partially build upon existing information, but both could be expanded to incorporate information provided by other estuarine and marine researchers. The estuary model focused only on avian predation. It is estimated that a 50% reduction in predation would lead to proportional increases in estuarine survival of 1.7% for Chinook and 11.5% for steelhead. This model did not include other key factors such as estuarine habitat restoration and predation by pinnipeds, but the investigators indicated these factors would be addressed in future iterations. Other than avian predation in the estuary, predation was not addressed in other models in the report (e.g., by pikeminnow, bass, catfish, walleye). The ocean model builds upon some earlier efforts on factors affecting Chinook and steelhead survival at sea, but it is likely that additional effort could refine and improve these relationships by considering additional variables examined by NOAA Fisheries ocean researchers. Chapter 6 provides a very brief description of a hydrosystem survival model based on CSS and COMPASS models that can be used to evaluate hydrosystem scenarios. Considerable hydrosystem modeling efforts have occurred in the past (e.g., COMPASS, CSS), but the information presented here is insufficient to allow a scientific review. It is unclear how the hydrosystem model will be used to model specific scenarios mentioned in the report such as dam breaching and reservoir drawdowns. Spatial structure and diversity are key elements of viable salmon populations. As part of the metapopulation framework for the life-cycle models (Chapter 7), the investigators examined 1) isolation of Snake River spring/summer Chinook salmon in relation to population "sources and sinks" and 2) correlation among Chinook population abundances in the upper Columbia and Snake rivers. The framework is a work in progress. The ISAB found the analyses provided scientifically interesting results and identified data gaps (e.g., information on fish movements is needed), but it is not clear how this effort furthers the goal of developing a full metapopulation model for spring/summer Chinook or for other races and species. Climate change is recognized in the Columbia Basin as a major factor for restoration efforts to overcome if salmon populations are to become viable and robust. The Introduction identified previous modeling efforts that incorporated future climate change scenarios. Section 2.4 examined population responses of spring/summer Chinook salmon in the Salmon River Basin to projected changes in streamflow and temperature as a result of climate change scenarios. The conceptual approach was innovative. However, in its present state of development, the model relies on numerous assumptions and the investigators warn that current findings are highly preliminary and should not be used for decision making. Other aspects of climate change -- such as potential changes in forest health, ocean acidification, and salmon survival at sea -- were not discussed in the overall report. The life-cycle models addressed, to varying degrees, many of the issues facing salmon populations in the Columbia Basin. However, two key factors not addressed, and that may slow salmon recovery, are the widespread proliferation of nonnative species and continued use and discharge of toxic chemicals in the subbasins. These factors undoubtedly impact salmon populations, though effects at the population level may not be readily known. The ISAB encourages NOAA Fisheries scientists address nonnative species and toxic chemicals in subsequent life-cycle models. The ISAB supports the decision by NOAA Fisheries scientists to seek peer review of the life-cycle modeling effort at this early stage. Life-cycle models can be complex and early feedback on model development is an important step. The investigators have shown progress, but there is much to do before the models can, for example, inform habitat restoration activities and decision making. Specifically, the incorporation of quantitative fish/habitat functional relations in tributaries and the estuary remains a key challenge. The hatchery supplementation model was innovative and informative; these findings should be incorporated into other models and the approach should be applied to other species and regions if data are available. The ISAB anticipates that the next iteration of models will provide greater coherence and integration among the modeling efforts, so that they may begin to address key questions. Furthermore, the overall modeling effort should explicitly identify its role in the adaptive management process within the Columbia Basin. Although significant challenges remain, building life-cycle models is an effective means for identifying data needs. These data needs should be fulfilled whenever possible. The ISAB looks forward to seeing further progress on this important endeavor in the near future. ISAB comments: The ISAB finds that the investigators provide compelling evidence to show that numbers of hatchery salmon spawning in the rivers accentuates density dependence such that anticipated benefits of supplementation may not be realized for spring Chinook salmon. The investigators use a large informative dataset spanning many years and many salmon populations in the Snake River Basin. The modeling approach developed by the investigators is sophisticated and novel. Although the analysis cannot distinguish between genetic versus environmental effects of supplementation, as noted by the investigators, it provides important findings about overall effects of supplementation. The analysis should provide important information for policy and management planning in Fish and Wildlife Program amendments, the artificial production strategy, harvest management, and the FCRPS BiOp. The report and analyses are insightful and demonstrate attention to detail. Nevertheless, as is common in ISAB reviews, we provide a number of suggestions and comments in the Appendix. We hope that the authors will find these comments useful when further developing the manuscript for publication. Chapter 4 describes a novel modeling approach for investigating the likely effects of hatchery supplementation on wild salmon population dynamics. This well-developed investigation used several decades of data for 23 Snake River spring Chinook populations. The ISAB commends the extensive use of existing data here and in many of the other models. This investigation provides compelling evidence indicating that numbers of hatchery salmon spawning in rivers accentuates density dependence such that lower survival offsets the anticipated benefits of supplementation for spring Chinook salmon. This modeling approach should be utilized for other species and watersheds when sufficient data exist, and the findings should be incorporated into other life-cycle models. Presently, only a few of the models incorporated effects from hatchery/wild salmon interactions, but none use findings from this investigation. We anticipate that this effort will be significant in informing policy and management in the Columbia Basin. Key findings: The investigation provides empirical evidence that reinforces earlier observations and concerns by the ISAB, ISRP, and others that supplementation may only result in replacement of existing natural salmon production rather than adding to it (ISAB 2003-3, ISRP/ISAB 2005-15, ISRP 2011-14). The key findings include strong evidence for density dependent survival and evidence for even stronger density dependence in response to increasing numbers of spawning hatchery spring Chinook salmon. The investigators conclude that supplementation of streams with hatchery spring Chinook salmon may have a benign or beneficial effect when spawner abundances are very low, but supplementation may limit the rate of rebuilding spring Chinook populations or limit the capacity of the wild population to respond to improved environmental conditions.